Honda has faith in the safety of its popular cute-ute, so it's bringing a totally wrecked example for passersby to check out at NYIAS. With the growing number of motorists on the road these days, the chances of getting into an accident are greater than ever, simply due to sheer volume. Although you’d hope to never be involved in a collision, Honda believes you’d have a far better chance of coming away unscathed if you were behind the wheel of its HR-V crossover, should a crash occur. We’re nearing the time for New York’s annual auto exposition and Honda announced that it’ll be crashing the party, both literally and figuratively, to prove its point. Typically, auto shows are a prime venue for carmakers to reveal new models. But this time around, and for what is being heralded as a first for Honda, the Japanese automaker will be showcasing a crashed HR-V crossover to demonstrate how safe its cute-ute is. 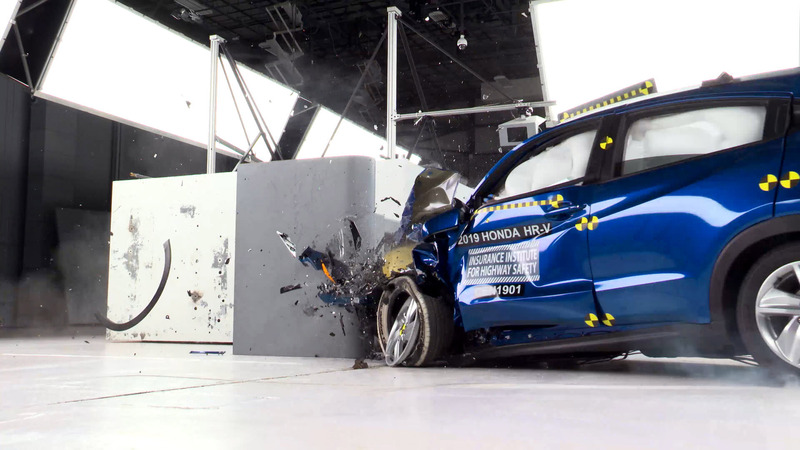 The crushed example of the 2019 Honda HR-V destined for display at this year's New York International Auto Show was originally used as a mule for the Insurance Institute for Highway Safety’s offset frontal collision test. 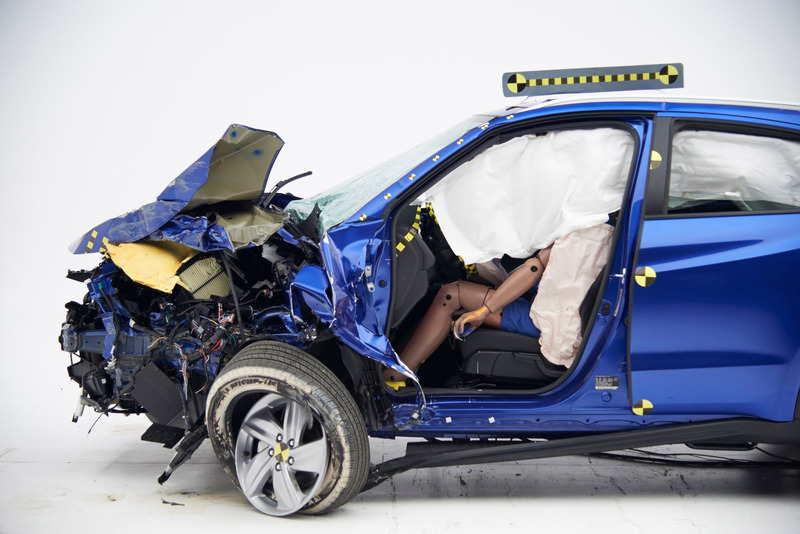 From the results, the IIHS assigned the 2019 HR-V a “Good” rating in overall crashworthiness, complementing the HR-V's original “Five-Star Overall Vehicle Score” from the National Highway Traffic and Safety Administration. Simply put, the 2019 Honda HR-V is one of the safest subcompact crossover SUVs on the market. 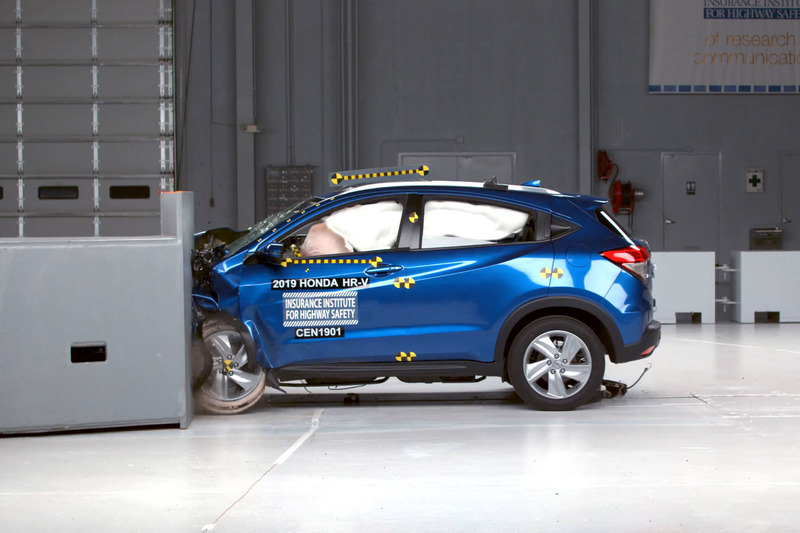 "Safety performance is an important factor in the purchase decision of most car buyers regardless of vehicle size or price, and we wanted to display how well our entry SUV, the Honda HR-V, performed in one of the most stringent collision tests in the world," said Henio Arcangeli Jr., senior vice president of car sales at American Honda Motor Co. "By having a crashed HR-V on display at the New York Auto Show, media and consumers will be able to see first-hand how the HR-V performed in the IIHS test, with dramatic, real-world visuals to showcase our safety rating leadership and our commitment to Safety for Everyone." The HR-V also scores well in other crash tests including all angles of a frontal collision, such as driver-side small overlap, passenger-side small overlap, and moderate overlap front. 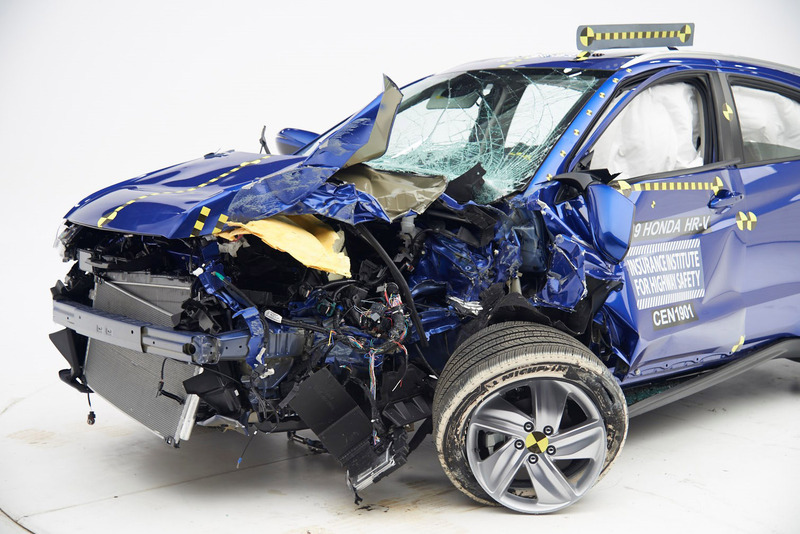 Should there be a collision impacting the vehicle's side, the HR-V also received high remarks for its resiliency in that case as well as its roof strength in the event of a rollover. Part of these high safety ratings also come from the fact that the HR-V comes loaded with tons of safety tech without the need to check any additional boxes on the options list. The HR-V features Honda's integrated ACE impact-absorbing body structure and reinforced cabin cell. Paired up with Honda's Sensing technology as standard, which bundles a whole suite of passive and active safety tech, all of the above puts the subcompact crossover on the IIHS's "Top Safety Pick" list. Crossover SUVs are more popular now than ever. And so, what better way to prove how safe a vehicle is by displaying the proof in the pudding to the one million observant pairs of eyes that flock to the floor of the Jacob Javits Center every year. #FlashbackFriday, New York Auto Show style.